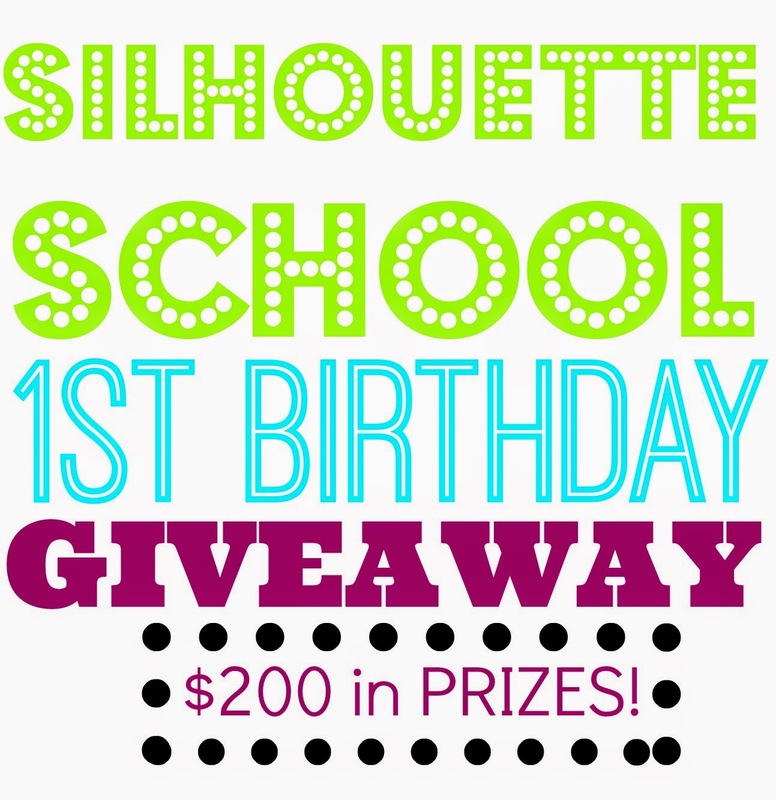 Silhouette School's 1st Birthday Celebration and Giveaway! I have big plans for this little blog in 2015 including the release (finally) of the long-awaited ebook. Thanks for your patience! I'm also contemplating offering virtual hangouts where readers can ask questions and get answers to their burning Silhouette questions. Lots of logistics there....as you can imagine. And of course the daily tutorials, many of them based on your questions and suggestions, will keep on coming. 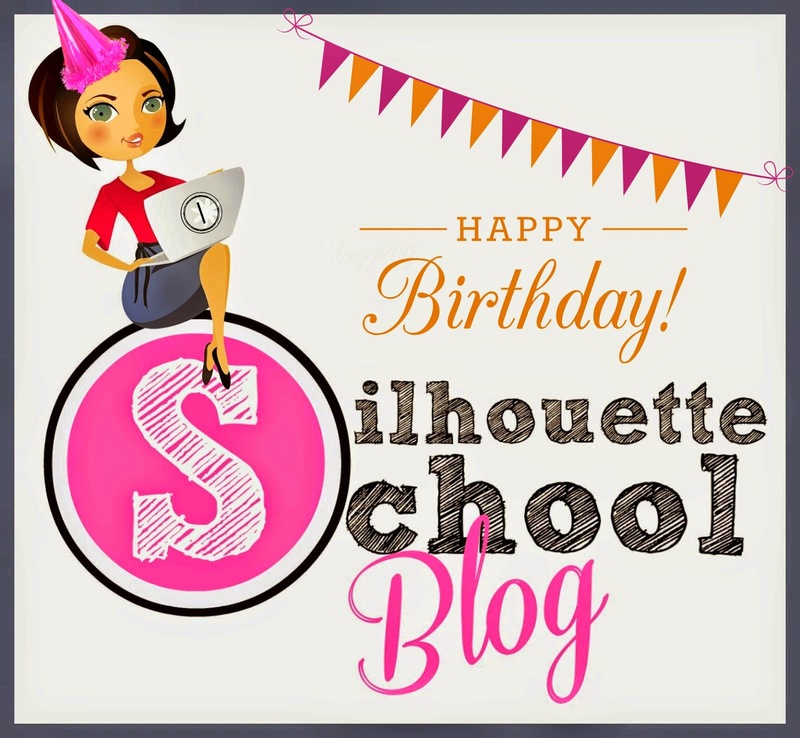 So while we came racing out of the gate in our first year, there's so much more to do as I strive every.single.day to continue to make Silhouette School the go-to place for Silhouette users in need of tutorials, project ideas...and GIVEAWAYS! A grand prize winner will win a prize pack worth $135! And I'm personally throwing in a $10 gift card to my Etsy shop, Cuteness Cubed, since I just appreciate you all so much! Three runners up will receive a $25 gift card to My Vinyl Direct! And since I really need your support I'm giving anyone who votes for Silhouette School as Blog of the Year - People's Choice 5 EXTRA entries!